K2 Elite 110 mm wheels - the new speed skates Replacement wheels with 110 mm wheel diameter and 85a hardness will be delivered in 4-pack. 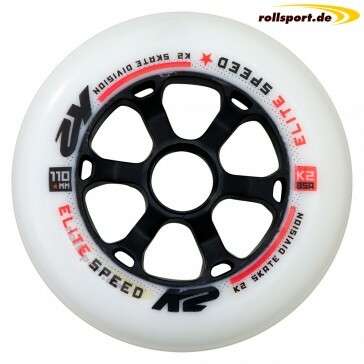 K2 110 mm Wheels - Elite wheels for speed skates. Original in the K2 Mod 110 Skate installed. The Speedwheels can be installed in any Inline Skate with a wheel size of 110mm. The set contains 4 rolls with a diameter of 110 mm and a hardness of 85A.